Distribution of ExPAND post-training starter kits at New Corella, Davao del Norte. The said after-training support is a fulfillment of the program's objective to provide high-impact extension intervention to help improve food security and decrease poverty of its beneficiaries, as well as increase the agricultural productivity of their area. A total of 778 farmers from identified poverty stricken barangays in Asuncion, B.E Dujali, IGACOS, Kapalong,New Corella, Panabo City, San Isidro, Sto. 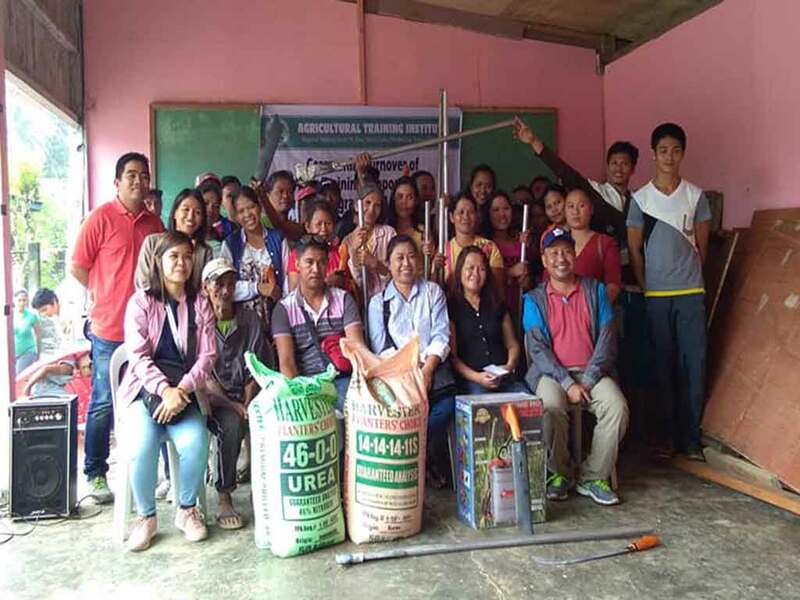 Tomas, Tagum City and Talaingod in the province of Davao del Norte will avail the agricultural supplies as logistics support to the trainings they had undergone last year under the program. Davao del Norte with 26.1% rate on Poverty Incidence among families based on the Region XI 2015 poverty data of the Philippine Statistics Authority XI (PSA XI), was chosen as recipient province of ExPAND implemented by the Agricultural Training Institute XI.